HYDE — Molly Sartin, the lone senior on the Clearfield Area High School softball team, doubled to drive in the tying run and, moments later, crossed the plate on a Bradford error for a 7-6 walk-off win at the Bison Sports Complex Thursday. The Lady Owls had broken a tie in the top of the seventh inning when Samantha Gross’ two-out fly fell in short left for a run-scoring double. Freshman catcher Kyra Mollura, who threw out Gross trying to steal third, gave the Lady Bison hope by clubbing a one-out double to right center, and Sartin came through with her double to deep left field before scoring the winning run on an overthrow at first base on Karly Rumsky’s grounder. “There were some pretty clutch hits throughout the game, and Molly’s was big,” Lady Bison coach Bob Lewis said. “It was nice to see her, as a departing senior, have a hit like that. The comeback was a happy ending to what had been a frustrating afternoon for the Lady Bison, who were way out front on most of Ashley Brown’s pitches, especially early, and watched the Lady Owls make almost every play when they did barrel up. Not every one, for the Lady Bison did collect 12 hits. The Lady Bison did in the third and fourth innings with half of their hits for a 5-2 lead. After Erica Hanes walked and winning pitcher Abby Fedder reached base on a misplay in the third, Makayla Ross chased both of them home with a double to left and Makeeli Redden followed with another long two-bagger to left center to make it 3-2. In the fourth, Erica Hanes ripped a double to left to plate Karly Rumsky, who had led off with an infield single, and then scored the fifth run on a Bradford miscue. Back came the Lady Owls in the fifth, drawing even with four of their eight hits off Fedder. All three runs crossed when Gross’ line drive single was misplayed in the outfield. Fedder surrendered hits in only three innings, including the first when Makenzie Smith’s two-run double got Bradford (1-14) off to a good start. The Lady Bison junior, who gave up only two earned runs, recorded a season-high 10 strikeouts and issued one walk in her fourth win. “Abby’s ’A’ game was on Monday against Hollidaysburg, when she looked fresh,” Lewis said. “She looked a little bit tired today. She didn’t have tremendous pop on her fast ball, but she kept the ball down and kept us in the game and gave us an opportunity to win at the end. Ross and Aspen Bishop, both juniors, had three hits apiece for Clearfield, which finished the season 4-16. 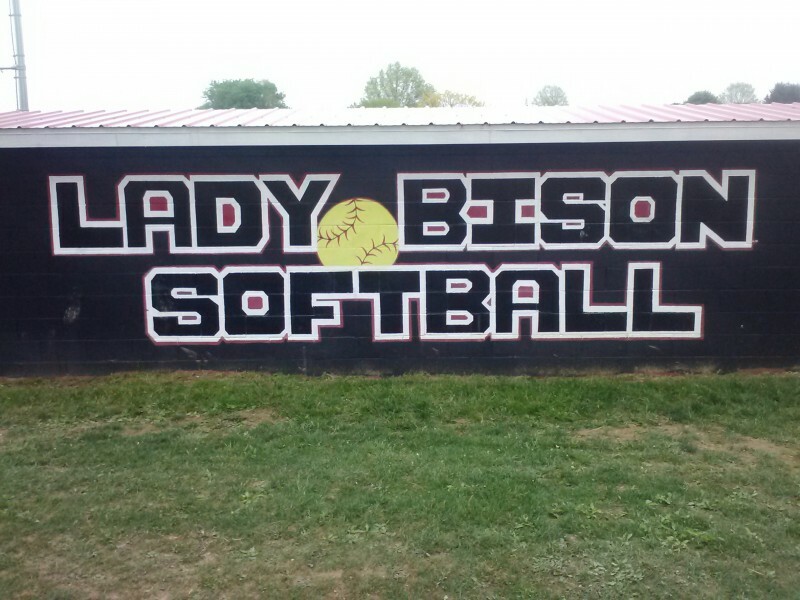 Following the game, Lewis announced he is stepping down after five seasons in charge of the Lady Bison program. Kaylee Brown p 4100, Hannah Woodel ss 3000, Makenzee Maley lf 4120, Emily Warner 1b 3320, Makenzie Smith 3b 4122, Samantha Gross c 4022, Kirstin Siffrinn cf 3000, Nicole Sayers dp 3000, Katie Skok rf 3000, Alyssa Persichini 2b (flex) 0000. TOTALS: 31 6 8 4. Brooke Cline dp 4000, Erica Hanes rf-lf 3211, Abby Fedder p 3110, Makayla Ross 1b 4132, Makeeli Redden 4011, Aspen Bishop lf 4030, Lindsay Hand rf 0000, Kyra Mollura c 4110, Molly Sartin 2b 3111, Kate Lansberry ph 1000, Karly Rumsky cf 4110, Kirstin Norman 3b (flex) 0000. TOTALS: 34 7 12 5. E – Brown, Smith 2, Siffrinn; Ross, Bishop, Rumsky, Norman. DP – Bradford 1 (Brown, Warner and Gross). LOB – Bradford 6; Clearfield 10. 2B – Smith, Gross; Hanes, Ross, Redden, Mollura, Sartin. SB – Warner, Gross. CS – Gross (by Mollura). Bradford – Brown 6-1/3 IP, 12 H, 7 R, 4 ER, 2 BB, 2 K.
Clearfield – Fedder 7 IP, 8 H, 6 R, 2 ER, 1 BB, 10 K.
HB – Fedder 1 (Warner). WP – Fedder 1. W – Fedder (4-13). L – Brown. Umpires – Ray Powell (plate) and Frank Perehinec (bases).